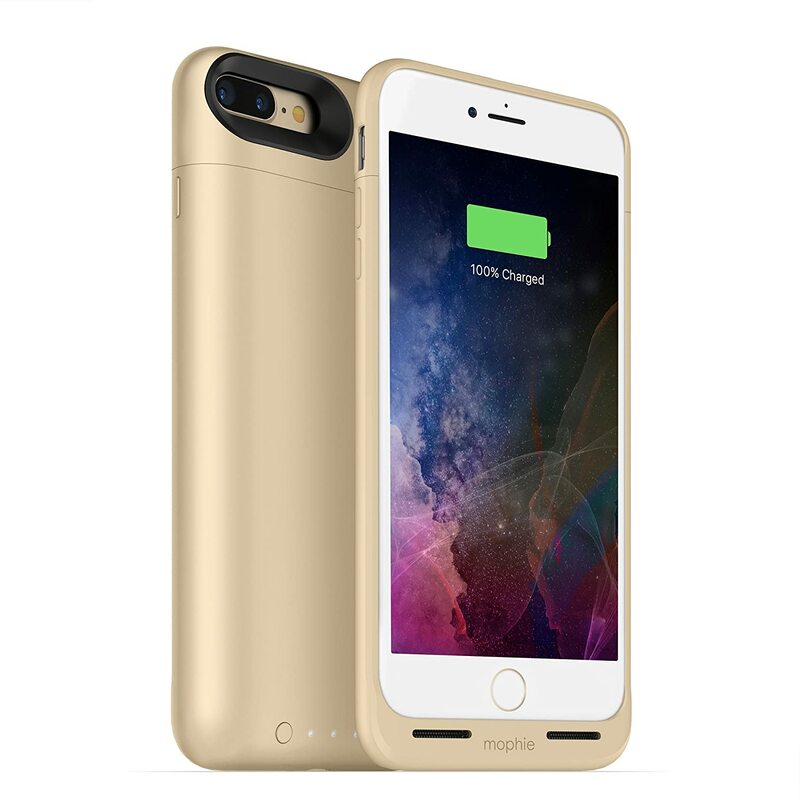 4000mAh iPhone s / /7 /8 Battery Charging Case is designed to improve the performance and battery life for your cellphone, an ideal buddy for office, game, daily life, outdoor, long distance journey & business trip. 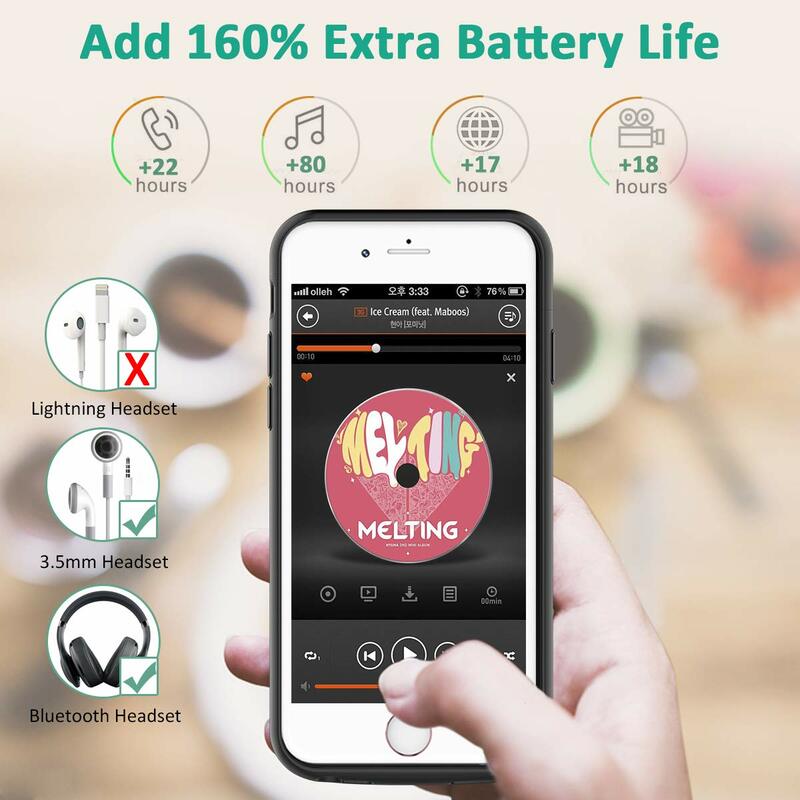 With powerful 4000mAh actual capacity, the battery case add extra 22 hours' talktime, 80 hours music time, 18 hours video recording time for you, a perfect battery backup for your iPhone s / /7 /8. 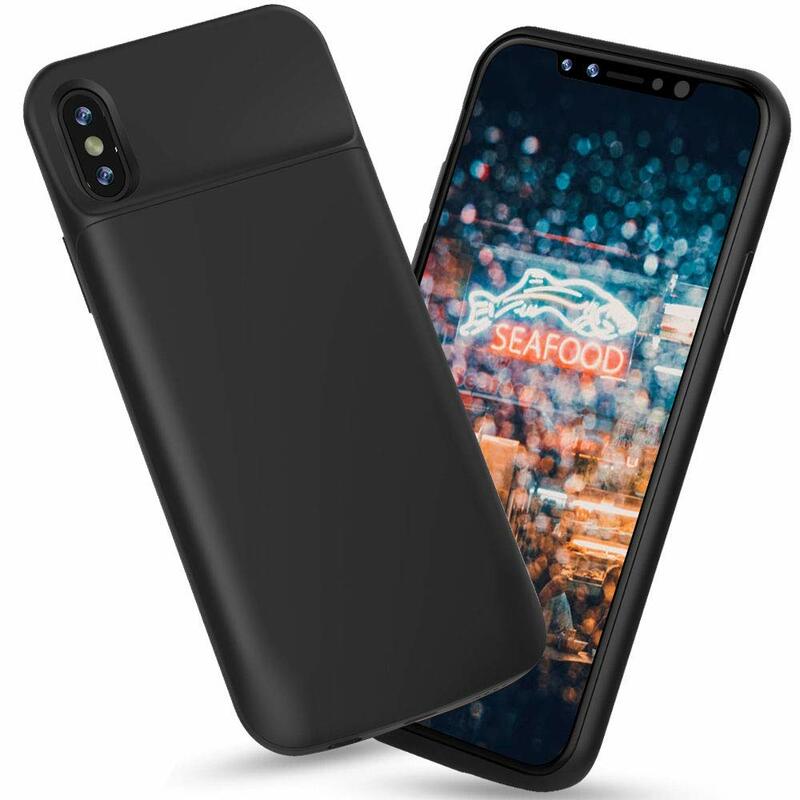 The battery case also plays a role of a protective case for iPhone s / /7 /8, which helps to protect your smartphone from scratches, scrapes and shock. 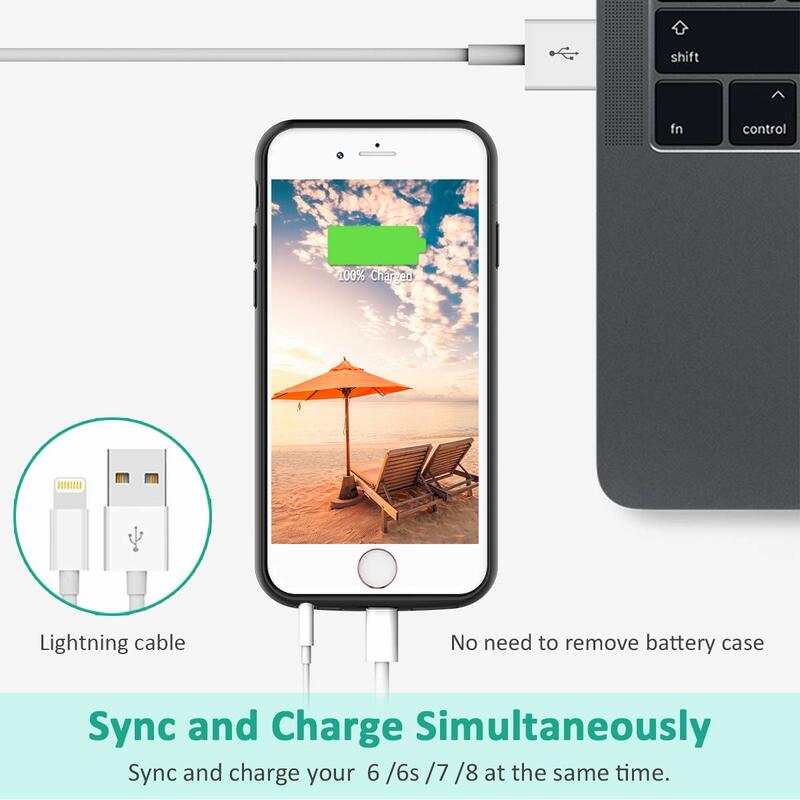 You can sync data to your Macbook, PC or laptop and charging your iPhone at the same time without removing the battery case. 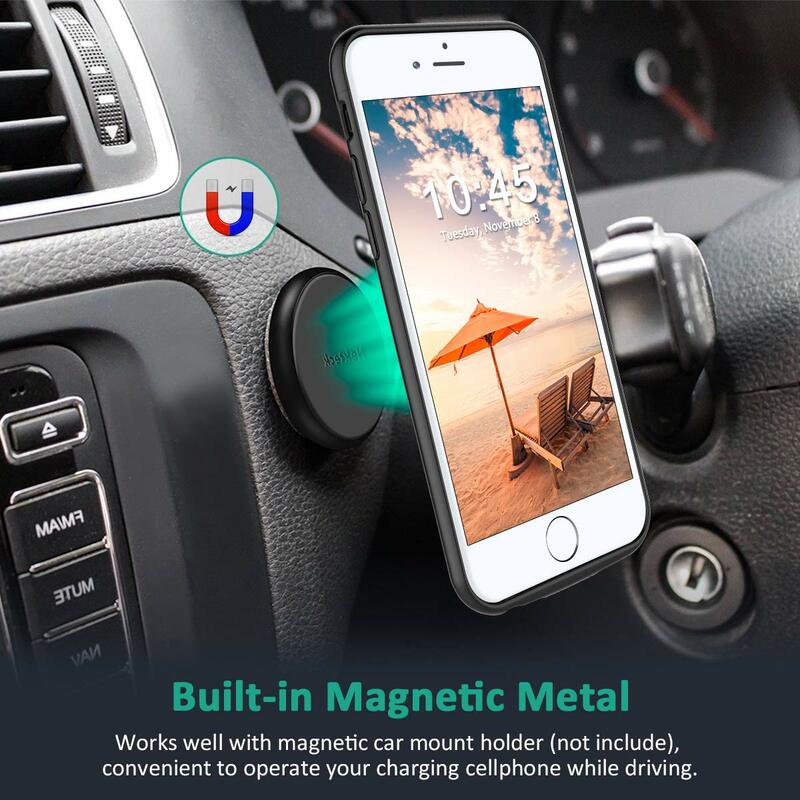 Works well with any magnetic car phone mount, convenient to operate your charging cellphone while driving. I've had battery cases before, including expensive Mophie ones. This one has a lot of nice features that surpass the ones I've had in the past. First, it uses a Lightning connector. Most other cases convert you over to micro USB. That means that all of your Apple charging solutions are not wasted. At 4,000 mAh, this is the highest capacity battery case I've ever had, and it's clear that it is a huge difference. Being able to get multiple recharges per full charge is really nice. I've only had this for a few days now, but I wouldn't be surprised if with normal use you can go a few days without having to recharge. 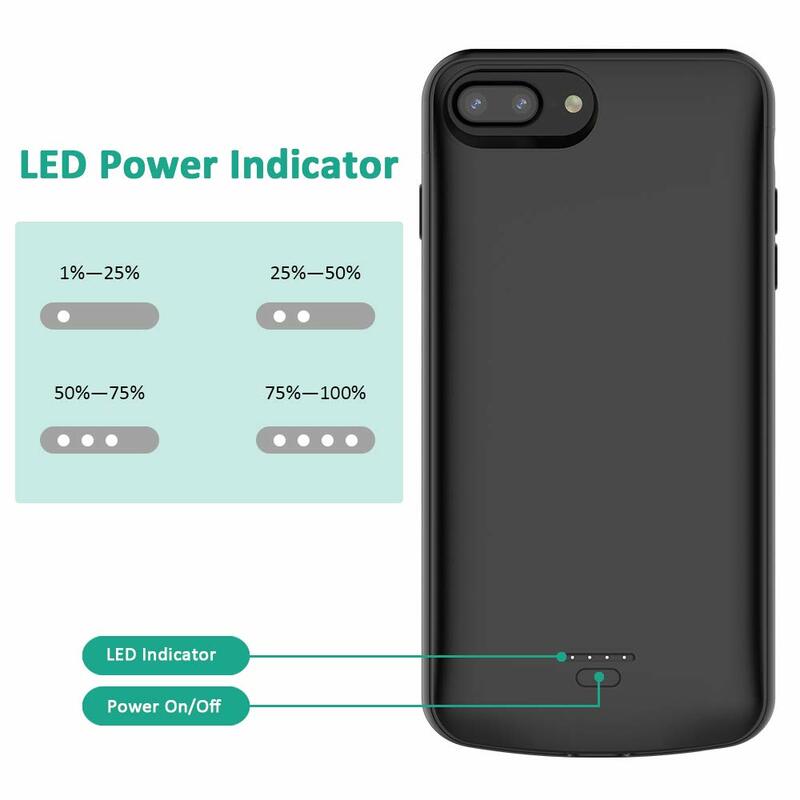 It also allows for charging pass through, meaning when you plug in, it charges your phone first, then the battery case once your phone is at 100%. 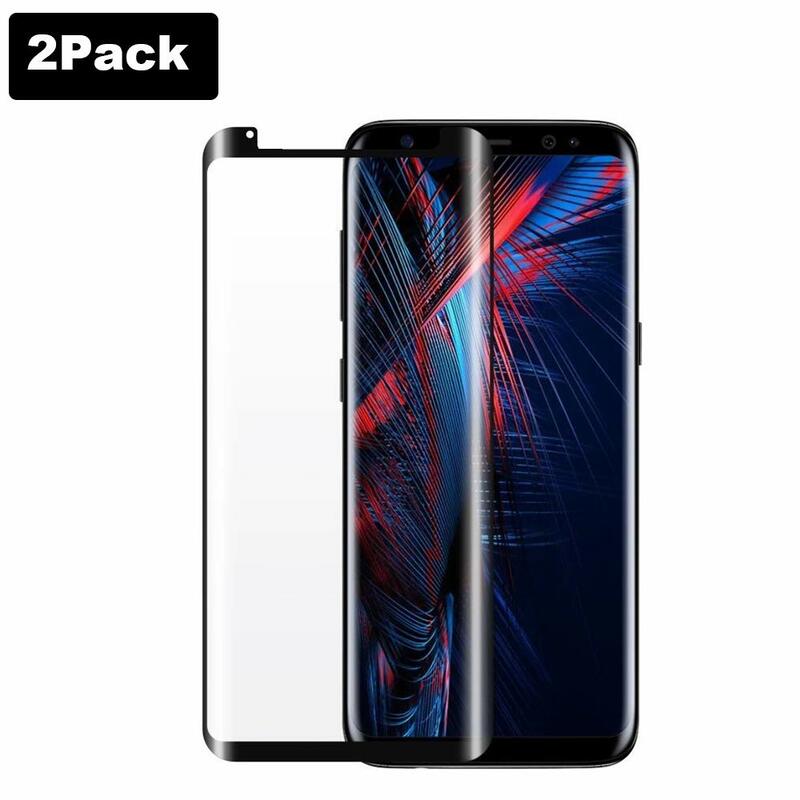 This case seems very sturdy and paired with a tempered screen protector (not included) offers comprehensive protection. Overall, this does exactly what it should, and does it well. I am heavy user of phone, surfing web, Facebook, watching movie, etc. My last phone battery does not last more than 24 hours. 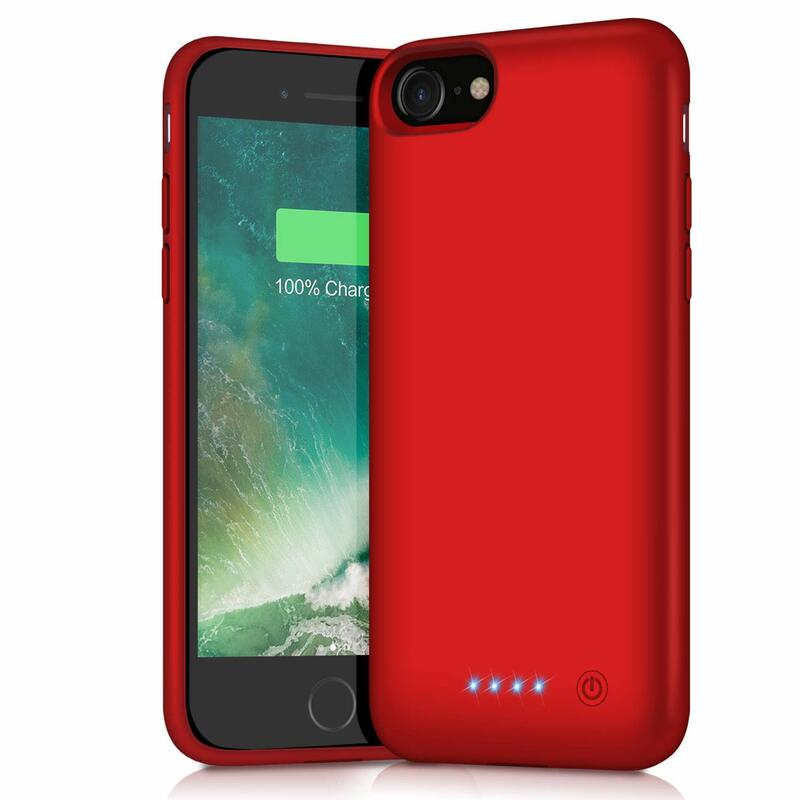 So, I decide to use a battery case for my new iPhone 8. This case easily fits my iPhone 8. 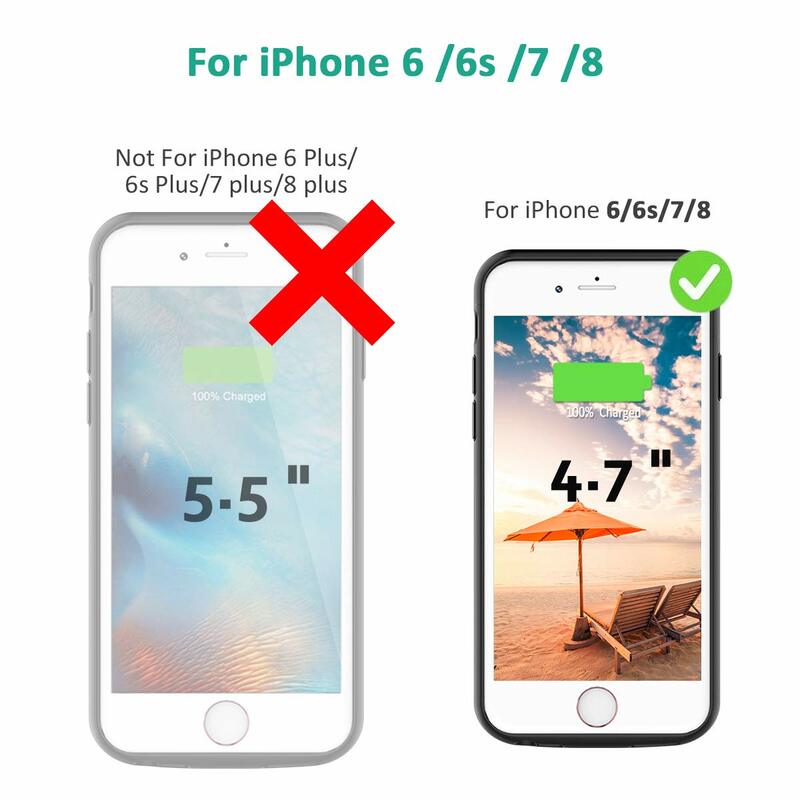 Ability to remove the top cover of the battery allows easier installation and removal of the phone compare to other case. 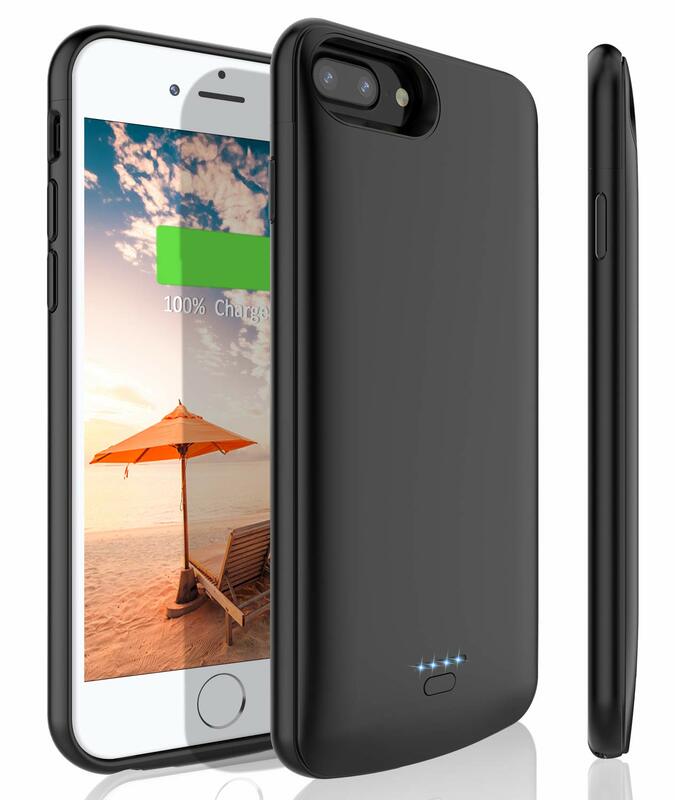 Once fully charged, the phone lasts for more than 2 days.Even if you don't use your phone, this kind of case is useful during travelling. 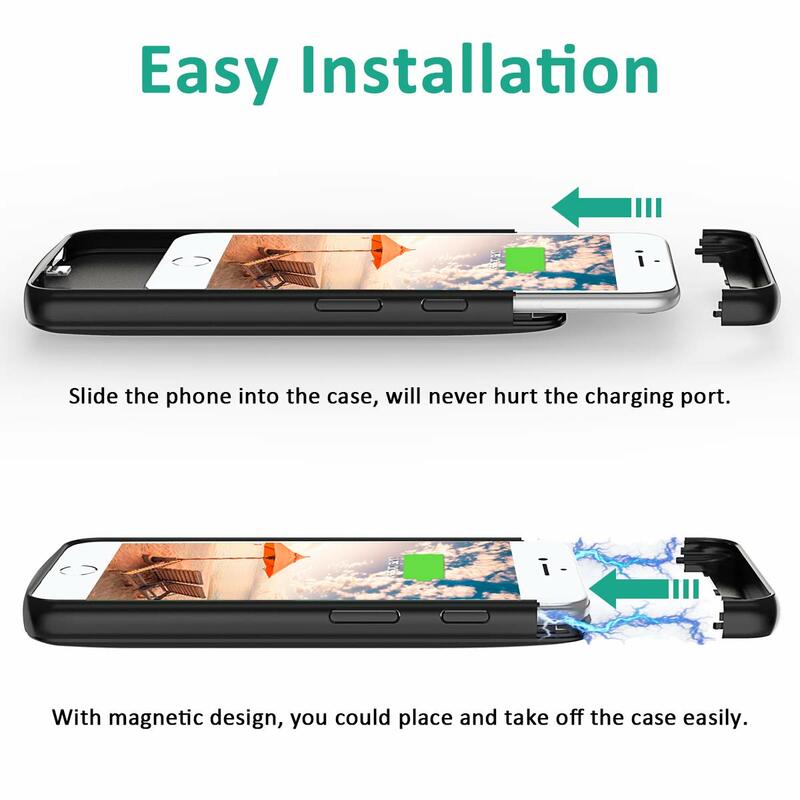 Only issue with this case is that, you cannot use Apple earphone while the phone is attached to the case. You will have to use Bluetooth enabled earphones. Using it for past 2 weeks, so far no issues. This case really grew on me and I really like it. At first it was a surprise to feel how much bulkier and heavier the phone was with this case but after a day I got used to it, and appreciated that it made it easier to hold - my phone is so thin that without a case it feels easier to drop, ironically. It feels a little smaller than the old iPaq's from the PDA days in the 90's. I did some experiments charging my phone, both from zero and partially, during the day when I was using the phone pretty constantly as well as overnight when the phone was not in use. I found that it provided about 90-100% charging power during the day while the phone was being used (my phone was down to 50%, I used this to charge it up to 100%, then my phone went down to 50% again, and I used this to charge it back up to 95% at which point it ran out of juice). Charging the phone from this case when the phone is not in use appears to provide about a 125% charge- I charged it from 0% overnight, it charged my phone to 100%, and still had some left. The fit and finish are first rate, it feels very high quality. Have not had it for too long but seems like a life saver at a reasonable cost. Also, I suggest you get a screen protector while using this, the screen is very exposed, I had to trim the screen protectors I got with scissors a bit to make sure the case didn't interfere with them. This portable case is awesome so far. I had my phone down to 9% and it will charge the phone back to 100% without connecting it. It charges as fast as a wireless charger. Its extremely helpful if you are on the go all the time and you are using your phone. Cons: It does make your phone weight a lot more, which I don't care about. However its worth mention it if anyone cares about that. The case its a very tight fit and very difficult to take off the case. I had to use a plastic knife and a lot strength to take this case off after trying to take it off with just my hands. Other than great case for the money with great materials. 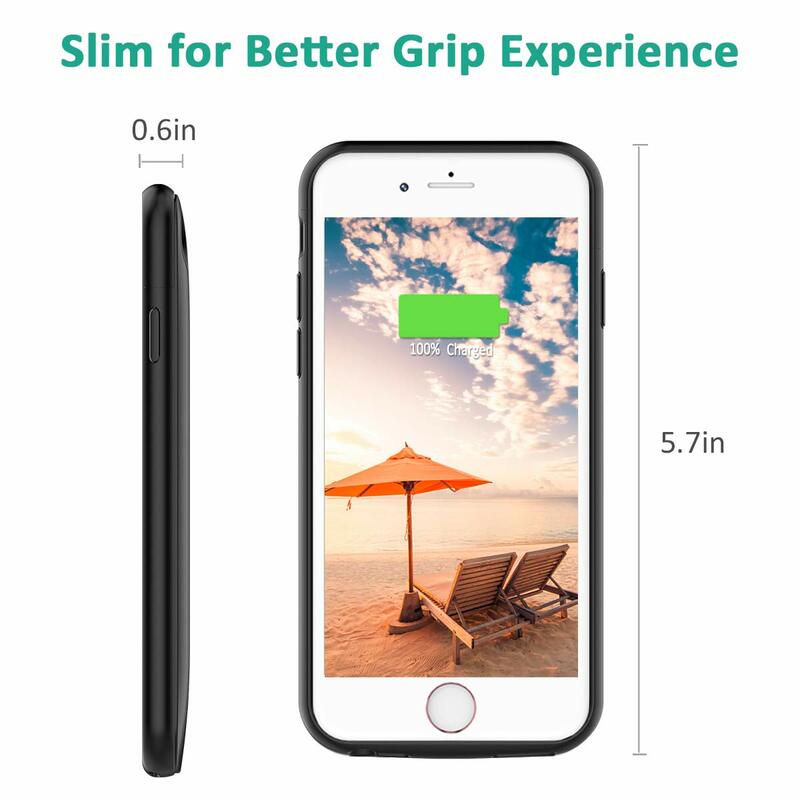 The performance of this battery case in terms of battery life is good . Easy to install and nice material. It keeps my phone charged without overheating. its good to have battery case for day outing and vacation . Now I can go a few days without having to charge it. Really nice product. Too heavy & bulky. I ended up dropping my phone all the time & cracked the screen. I've never had that happen before. Had to take it off & stop using. The retailer kindly offered a refund due to my dissatisfaction. Fits really well, blends in seamlessly, works well, buttons are nice feeling. It is heavy and slightly bulky though, but I expected this. She loves it, I told you all abt mine, awesome. So I asked her how do she njoy hers, she replied, so great. Kept thanking me for finding it. I told her , I have a awesome team. Lol. Thanks guys for being "Great".